A New Jersey attorney representing taxpayers accused of criminal and civil tax code violations. Few things can be more unnerving than a letter from the Internal Revenue Service. The IRS investigates and prosecutes tax crimes aggressively. People facing criminal charges for tax-related offenses need an attorney who will mount an aggressive defense. 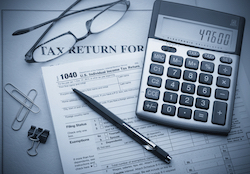 The IRS has an entire section that focuses on criminal tax matters. Criminal Investigation or "CI" investigates and prosecutes criminal violations of the Internal Revenue Code and related financial crimes. Headquartered in Washington, CI has about 4,000 employees worldwide, many of whom are special federal agents whose investigative jurisdiction includes tax, money laundering and Bank Secrecy Act laws. As to money laundering and Bank Secrecy Act violations, CI's jurisdiction overlaps to some extent with that of other federal agencies. However, IRS/CI is the only federal agency that can investigate potential criminal violations of the Internal Revenue Code. In the United States, compliance with tax laws relies heavily on self-assessments concerning, among other things, the amount of tax that is owed. This is typically referred to as "voluntary compliance". The IRS becomes involved when it believes that individual or business taxpayers have deliberately adopted a course of action that results in the non-payment of taxes. Such taxpayers face the possibility of a civil audit or criminal investigation. CI prides itself on constantly reminding the taxpaying public that its agents have both the training and resources to review and analyze even the most complex hard copy and/or digital financial records. Given the resources at its disposal, CI is certainly capable of conducting an in-depth forensic analysis of the financial records of any individual or business taxpayer. IRS document investigations involve the seizure and review of a taxpayer's financial records including, but certainly not limited to, bank account records, real estate files, and motor vehicle records. In the most general sense, CI's goal when conducting a financial investigation is to understand how the taxpayer has moved money around. Thus, the purpose of an IRS financial investigation is to determine where money came from, who received it, when was it received, and where it was stored or deposited. Legal Source Tax Crimes - CI probably devotes the largest amount of its resources to this area. These investigations involve legal industries and occupations, and legally earned income. Violations in this area can include tax evasion, the failure to file tax returns, or filing false tax returns. Crimes frequently investigated in this area include, but are certainly not limited to, employment tax fraud, false claims for tax refunds, unreported or underreported income, concealing assets, and failure to cooperate with an investigation. Illegal Source Financial Crimes - Investigations in this area focus on money obtained through illegal sources such as embezzlement, kickbacks, health care fraud, telemarketing scams, securities fraud, and illegal gambling activities. Narcotics and Counterterrorism Financial Crimes - These investigations focus on drug trafficking and money laundering operations, as well as disrupting funding for terrorist activities. A finding of guilt in a criminal tax case can result in much more than just payment of back taxes. It can also implicate fines, penalties, interest, and substantial prison sentences. Tax-related prosecutions are extremely serious matters. They can have far-reaching financial consequences, and result in jail time. Taxpayers who are contacted by the IRS in connection with alleged civil or criminal tax violations should speak to a lawyer before responding to any requests for information or documents. If the IRS has contacted you in connection with a civil or criminal tax matter, do not try to talk your way out of it without proper legal representation. Rather, contact James S. Friedman, LLC, immediately to discuss your options.